An association of tour guides and community members at the Analamazaotra Forest Station, a protected area of rainforest about 150km east of Madagascar’s capital, Antananarivo, has embarked on an ambitious reforestation project that is educating local people about the value of preserving the forest as well as generating an income for 400 nearby households. “We all studied to become tour guides, but wanted to do more. We didn’t just want to show nature, we wanted to participate in it,” said Justin Claude Rakotoarisoa of the Mitsinjo Association, which started as a community initiative to manage the Forest Station with the proceeds of eco-tourism in 1999. The reforestation project, which started in 2003, is funded by international donors including the Finnish Ministry of Foreign Affairs and the Finnish airline, Finnair. It employs about 100 local people - some as full-time tour guides and educators and others to re-plant the forest for a few hours a day. “Often, when we talk to villagers about not cutting the forest, they ask for money, food and materials. We tell them we have no money to give them, but we do have techniques. It’s a big challenge. 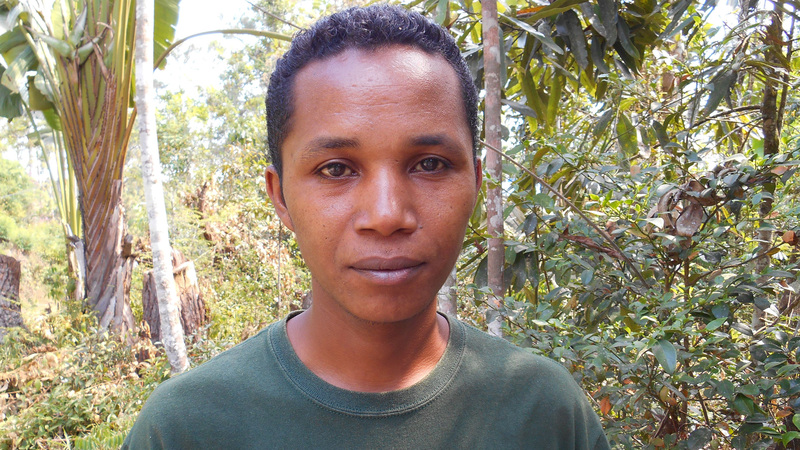 You can’t just tell people not to cut the forest,” Rakotoarisoa told IRIN. 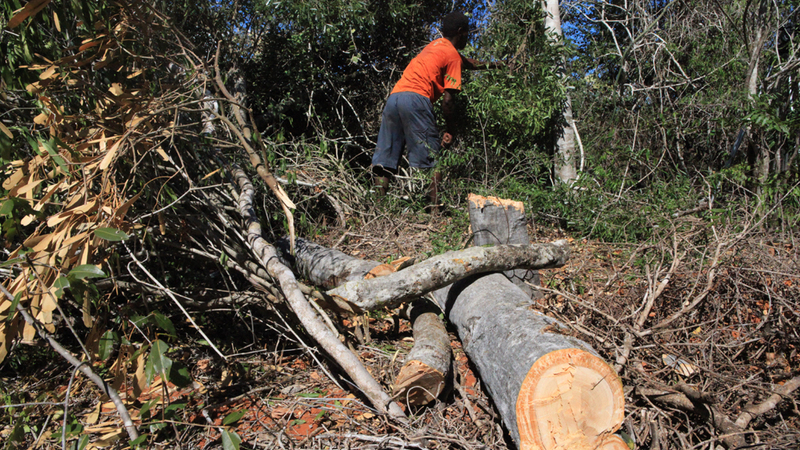 "Often, when we talk to villagers about not cutting the forest, they ask for money, food and materials. We tell them we have no money to give them, but we do have techniques"
The Forest Station is one of the most popular tourist destinations on the island. However, a protracted political crisis that started in 2009 with a coup d’etat which ousted then President Marc Ravolomanana, caused the number of international visitors to Madagascar to drop sharply from 375,000 in 2008 to less than half that number the following year. The drop in tourist numbers caused more local people to turn to producing charcoal and selling it on the side of the road, which forms the main national thoroughfare between the capital and the port city of Tamatave. According to the World Bank, poverty levels have increased sharply as a result of the political crisis. Economic growth has dropped to zero from an average of 5 percent per year prior to the crisis and over 90 percent of the population now survives on less than US$2 a day. The project teaches farmers how to cut trees in a more sustainable way for charcoal use, as well as agricultural techniques such as combining rice and vegetable crops in one field and making use of natural pesticides and fertilizers that boost yields and decrease the need to slash and burn more forest. Part of making the case for reforestation involves pointing to the negative impacts villagers appear to already be experiencing due to the loss of forest. These include a lack of clean water supplies, and anecdotal evidence of rising temperatures and decreasing rainfall. “Here in the forest, it never used to be hot, but now it’s sometimes 32 degrees and there is no rain. This is because too much forest has been lost because of tavy (slash and burn agriculture). When we point this out to the villagers, they start to understand,” explained Rakotoarisoa. With political stability finally returning to the country following recent presidential elections, the tourism industry is now recovering and the Ministry of Tourism predicts that by 2015 it will have returned to 2008 levels. More tourists visiting the Forest Station generate more money to preserve it, while locals who can earn an income from providing services to visitors are less likely to resort to selling charcoal. Conservationists are also hopeful that the election of President Hery Rajaonarimampianina in December 2013 will restore much of the environmental aid that international donors shelved following the 2009 crisis. Meanwhile, Rajaonarimampianina has pledged to personally lead the fight against illegal rosewood logging, although local media have continued to report on illegal shipments of rosewood being intercepted by police. Illegal logging has contributed to the effects of charcoal production and slash and burn agriculture and today, only 10 to 20 percent of Madagascar’s original forest cover remains. Much of it is inadequately protected or not at all, points out primatologist Christoph Schwitzer, head of research at Bristol Zoo Gardens, writing in the February issue of Science. In 2003, only 3 percent of land in Madagascar was designated as protected. The Ravalomanana administration, which governed the island from 2003 until 2009, increased this area to 8 percent. However, the political crisis in 2009 caused a breakdown in local law enforcement that gave rosewood loggers and traders free reign. The transitional government, which replaced Ravalomanana after the coup, eventually established regulations to control the trade, but rosewood smuggling continued and even increased. Schwitzer argues that Madagascar desperately needs to protect more of its remaining forest and its highly endangered population of lemurs, and names community initiatives like Mitsinjo’s as one of the ways to achieve this. “Empowering local communities to create reserves and training them in management through small grants is where we are likely to see the greatest growth in habitat protection over the next decade,” he writes.